Alexander; Alexander/Jones; Alexander/Jones/Jul; Alexander/Julian/Ju; Borger/Oda; Breit; Brennan/Waits; Ellington/Jones;... Very Good. In very good packaging. 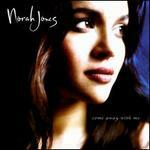 Norah Jones-Feels Like Home by Norah Jones. Very Good. 766481350545 (CD Q-1 VJ) CD includes original case and artwork/inserts. Please Note: Pictures may be catalog/stock photos and NOT an actual picture of the actual item being sold. If you are looking for a particular cover art or edition, please ask BEFORE buying. Typical transit time for standard media mail is 7-10 business days. Good. 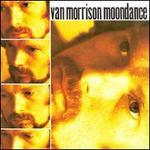 766481350545 (CD44 VJ) CD includes original case and artwork/inserts. Please Note: Pictures may be catalog/stock photos and NOT an actual picture of the actual item being sold. If you are looking for a particular cover art or edition, please ask BEFORE buying. Typical transit time for standard media mail is 7-10 business days. Good calming music after a hard days work. Same soft voice as on her first CD.